Birding and photography have been Karl’s passions for over 50 years, so it’s a perfect combination for him to photograph birds. Not that long ago, it was difficult to get decent bird photos because many birds are small, move quickly, often in dim light, and difficult to approach. Modern digital photographic equipment has made the task much easier if the basic principles are understood. Along with reviewing different types of equipment for digital bird photography, Karl will go over techniques for getting the pictures and then post-processing to improve them as your tastes dictate. Registration for this special class is $20.00 with proceeds going directly to support KBO’s science and education programs. Please Contribute to our 2018 Membership Drive. Thank you KBO Community, for your sustained financial support of KBO. We recognize and appreciate the choice you make by donating to Klamath Bird Observatory — your contributions encourage and inspire us. As a non-profit, KBO relies heavily on federal and state funding, however private donations are a key part of the revenues that help us achieve our science-driven mission. As we are well into our 2018 field season we continue to seize opportunities to advance bird and habitat conservation through science, education, and partnerships. We are also now facing a new set of challenges — extreme changes in federal funding are putting our work at risk, making private sector support more important than ever. Therefore, the success of our annual spring membership drive is critical. Please support KBO by contributing to our spring membership drive. Your donations support our success. Your contributions support our research and long-term monitoring. Our results recently informed the expansion of Cascade-Siskiyou National Monument and influenced improved management of this protected area. The science is now a key tool for defending our Monument. Our science is also elucidating details about unique threats to birds here in our region. 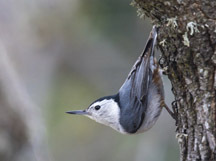 For example, forest birds appear to be in steeper decline here in the Klamath-Siskiyou Bioregion, as compared to the broader Pacific Northwest region. This makes our science relating to forest protection and restoration that much more critical. 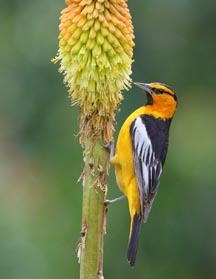 Your contributions support our collaborative approach to bird conservation. 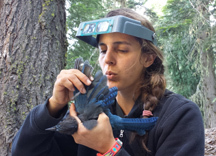 Jaime Stephens (KBO Science Director) was just recognized for her exceptional contributions to the field of bird conservation with the Partners in Flight International Leadership Award. Jaime’s active collaboration with land managers ensures that our science translates into conservation success. She is using science to put oak woodland and forest restoration on-the-ground on both private and public lands. Your contributions support our education programs. We are building generations of conservation practitioners. Over the past 20 years we have trained and mentored more than 250 student interns from 18 countries. They are now working to advance conservation as young leaders at universities, natural resource management agencies, and NGOs throughout the world. Our Community Education programming offers a diversity of learning opportunities that foster an appreciation for birds and an interest in conservation. These include our regular Talk and Walk series of classes and our outreach at festivals throughout the region. 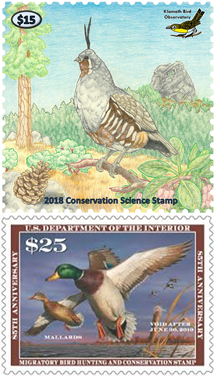 Please support our successful science-driven bird conservation. Right now, your support is critical! 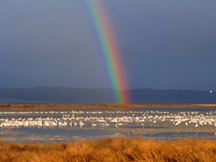 Make your tax-deductible membership donation online (CLICK HERE) or by mailing your donation with our membership form (CLICK HERE FOR OUR MEMBERSHIP FORM) at Klamath Bird Observatory, PO Box 758, Ashland, Oregon. 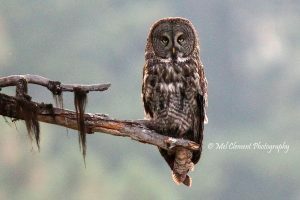 Crater Lake National Park and Klamath Bird Observatory will present a bird ecology program series this summer and into the fall. 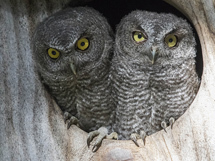 These park ranger-led programs will feature a visit to KBO’s bird monitoring station within Crater Lake National Park. The programs will be on Thursdays, but not every Thursday—please check the Crater Lake bird banding visit flyer for scheduled dates. The first program is next Thursday June 28! Don’t miss this opportunity to visit KBO’s biologists in the field, see the birds they are studying up close—guided by an expert park ranger. began at daybreak surveying 11 different sites within the monument. 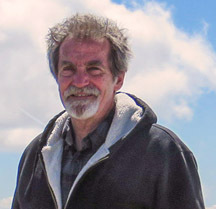 counties were recorded,” says Klamath Bird Observatory Executive Director John Alexander. designated time and place. “A BioBlitz is a great way to engage the community and connect them to their monument while generating useful data for science and conservation. They are also an excuse for naturalists, scientists, and curious members of the public to get together in the great outdoors for fun and to contribute something meaningful.” explained Howard Hunter, a board member for the Friends of the Monument.” -From the Friends of the Cascades-Siskiyou National Monument’s BioBlitz Press Release. Read more in the Friends of the Cascades-Siskiyou National Monument’s BioBlitz Press Release.